For this year’s collaboration we mentored the iGEM teams Rheda Bielefeld and Hamm-Lippstadt. It was a pleasure to introduce them to the iGEM competition, help them with general lab questions, and talk about their project and research area. We also collaborated with the iGEM team Duesseldorf in analyzing the sequence of a BioBrick. Throughout our project we had worldwide collaborations and met numerous teams. It was a pleasure to interact with so many people from various cities and countries and to talk about their and our experiences during iGEM and their projects as well as their and our lives at a university. The high school team Rheda Bielefeld is the first Bielefeld High School team which takes part in iGEM. As a first step in the iGEM competition, members of our team supervised and supported the team while participating in the InterLab study. We invited the team into our laboratory for three days and supervised them in the execution of the experiments. Unfortunately, the first time conducting the InterLab study resulted in unsatisfying results. Due to wrong results, we repeated the InterLab study experiments and ensured that they have matching results, which can be integrated in the overall result of the world wide InterLab study. Besides supporting the team in the InterLab study, we organized a workshop, introducing them to the basics of CSS and HTML as a preparation for a successful wiki. A few weeks later, our team member Vanessa gave a more detailed workshop regarding the design of the wiki and creating new pages. Of course, we answered all further questions, exchanged information about both our projects and provided them with help, knowledge and working materials, doing our best to support the first Bielefeld iGEM high school team. Some of the most important things our team learned from mentoring the high school team Rheda Bielefeld were the different requirements which a young high school team has, in contrast to an over-graduate team, and to adjust our way of mentoring to their needs. It was so fascinating to see the pupils working so hard in addition to their school work and we were very happy to facilitate their passion for synthetic biology. We are so delighted you were successful and are very proud you represent Bielefeld in the iGEM competition! This year, the University of Applied Sciences Hamm-Lippstadt takes part in the iGEM competition for the first time. To support their start and to give them a broad overview over criteria of the competition, we mentored the team. For this purpose, we invited all members to our research facility, discussed the foundations of the iGEM competitions and provided the visitors with protocols for their everyday lab routine. Afterwards, our primary PI Prof. Dr. Jörn Kalinowski joined us for a lab tour and a nice barbecue. As an important aspect of our mentoring, we are in constant contact with the team, answering questions about the competition and their project. Furthermore, we helped the team of Hamm-Lippstadt to participate in the InterLab Study. We provided them with important working materials like Escherichia coli DH5α and 96 well plates. In addition, we offered them to use our laboratory as they had no own lab for genetic technology on site. Moreover, we answered broader and more detailed questions they had during several skype sessions. Further questions were answered during a second visit of the team of Hamm-Lippstadt. We were extremely happy, that they followed our invitation to our dual use panel discussion and we hope that we offered an useful input about dual use concerns of their own research and the importance to spreading dual use research of concern issues . In addition to having fun teaching a new team the basics of an own iGEM project, it was fascinating to see a completely different team dynamic and research area. It was a pleasure to help them working on their own exciting iGEM project and we learned a lot on considering different working conditions. It was such a great experience mentoring an iGEM team, which has as much interest and fun in synthetic biology as we do, and we hope the iGEM friendship between Hamm-Lippstadt and Bielefeld will continue between the future teams of our universities. Thank you guys! Figure 1 : Meeting with the iGEM team Hamm-Lippstadt. After participating in the March for Science in Cologne, we had a skype meeting with the iGEM team Duesseldorf and they invited us to a team meetup. Thus, on the 4th of May, we went to Duesseldorf. It was an inspiring day with the iGEM team Duesseldorf and we had so much fun together. We discussed critical aspects of both our projects and we compared the difficulties both teams had to overcome. It was really helpful for us to practice presenting our project to another team. Back in Bielefeld we asked the iGEM team Duesseldorf to test the promoter part (BBa_J23111) of the distribution plate 2018, because we had trouble cloning it. Therefore, we requested the team Duesseldorf to clone and sequence this part as an independent validation of our sequencing results.  In contrary to us, they were able to validate the sequence of this part. We were greatly happy that the team Duesseldorf followed our invitation to our dual use panel discussion and provided us with a lot of input, which we could perfectly include in our work in this field. We are extremely happy to celebrate the third year of a friendship between both our teams! Beside the collaborations with the teams of Hamm-Lippstadt, Duesseldorf and Rheda Bielefeld our team got in contact with many people from all over the world throughout the year. We would like to give a short impression on how we became part of the world-wide science community. 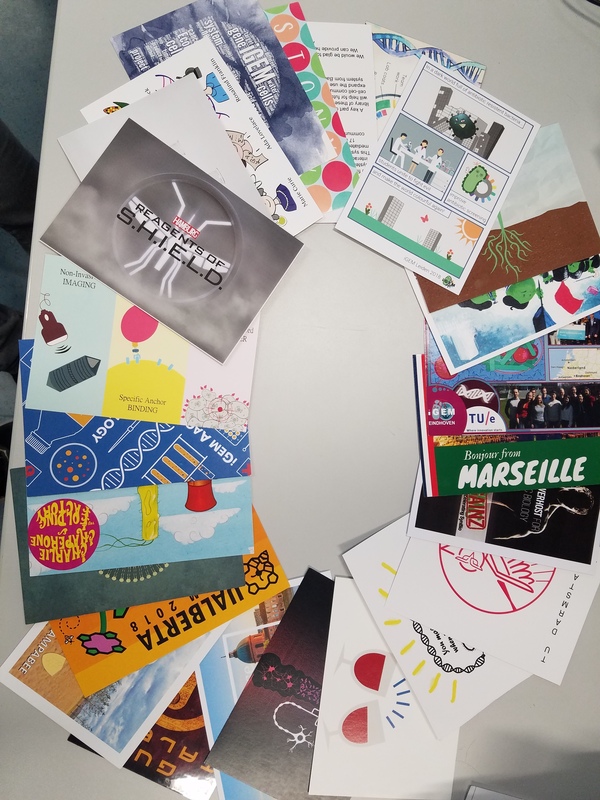 Like in the last years, team Duesseldorf organized a campaign to promote synthetic biology by inviting other iGEM teams to design interesting postcards on the topic of synthetic biology. We were enthusiastic about this idea and started designing our own postcard. This year we decided to recreate a famous picture„Lunch atop a Skyscraper“ in a biological way and complement it with our team. Figure 2 : Collection of different post cards from all over the world. 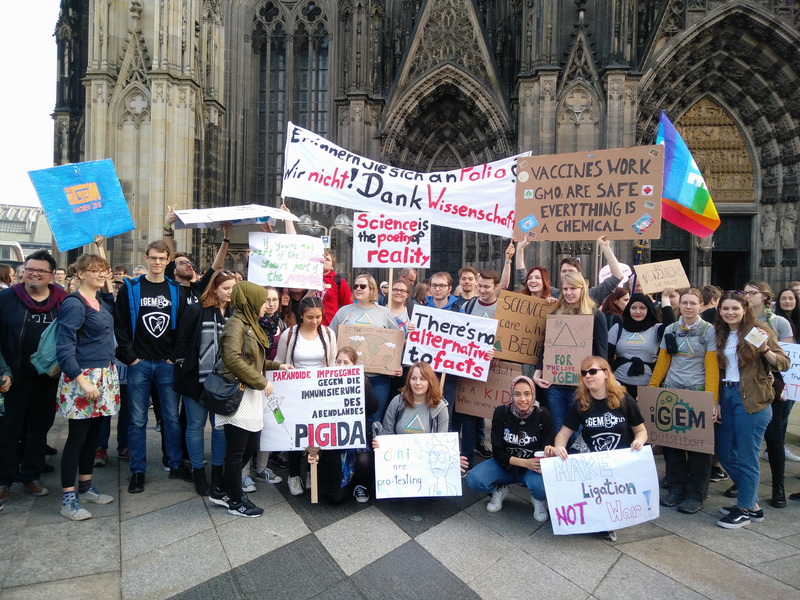 In April, we were invited to participate in the March for Science in Cologne. Of course, we accepted this invitation and met with other German iGEM teams located in the Cologne area to promote the importance of science in our modern society and everyday life. At this event, we got to know many iGEM teams in person and got first impressions of their interesting projects. We got to know the iGEM team Duesseldorf quite well with whom we were in close contact throughout the year and started a collaboration for independent sequencing. Figure 3 : Meeting the iGEM teams Aachen, Bonn and Düsseldorf at the March for Science demonstration in Cologne. 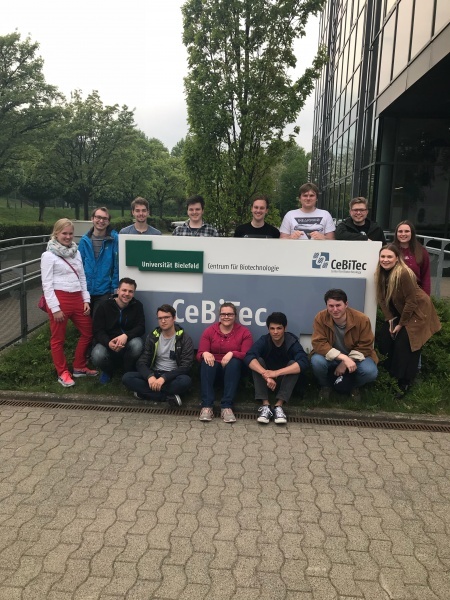 On 24th of April, the team from Tuebingen followed our invitation and visited us at the CeBiTec in Bielefeld. After guiding them through our facility, both teams presented their projects and we had the opportunity to discuss them in detail. Especially in such an early stage of an iGEM project, an intensive discussion helped a lot in identifying blur aspects of the project. At the end of this interesting and successful day, we had an awesome barbecue together. Figure 4 : Meeting with the iGEM team Tuebingen. 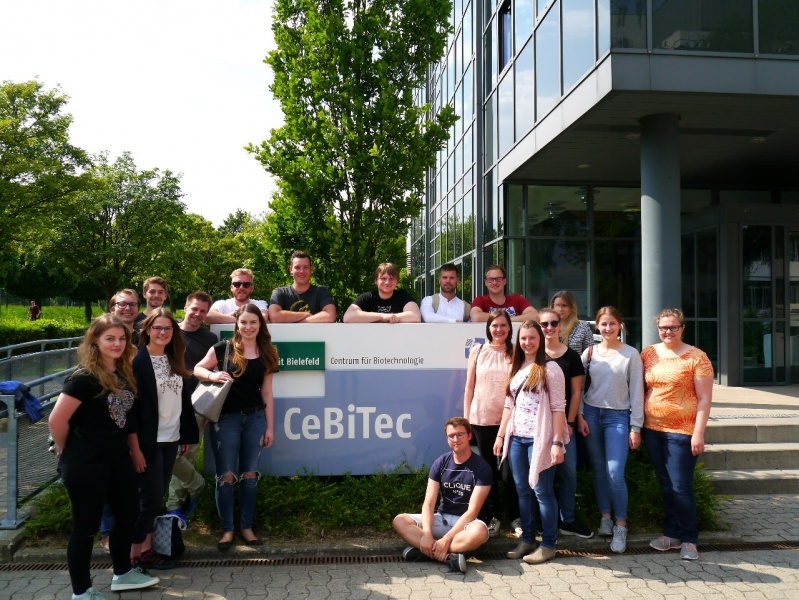 From 22th - 24th of June, our whole team followed the invitation to the German meetup in Marburg to present our project to other German iGEM teams. It was the first external presentation of our project and we got some constructive feedback regarding our project and how to communicate our results. It was also interesting to see what other teams were working on during the year and we are looking forward to seeing what they will present at the Giant Jamboree in October. 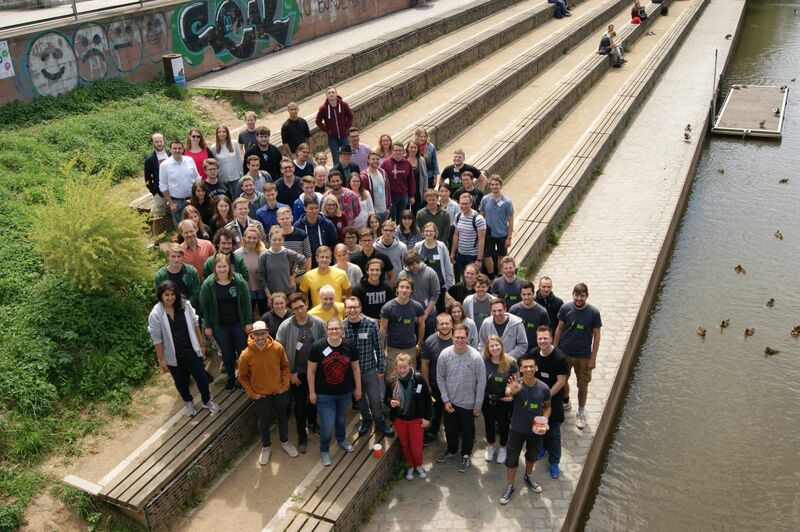 Figure 5 : Group picture at the German iGEM Meetup. From 20th - 22th of July seven of our team members went to the beautiful city of Munich to participate in the European iGEM meetup. We were might enthusiastic about the presentations thematizing numerous research areas given by many different speakers. The iGEM poster sessions gave us a great opportunity to present our project to the other iGEMers and get a first impression on how the Giant Jamboree will be. The presentations of the other teams’ projects were incredibly interesting and gave us new inspiring ideas for our own project. It was nice to meet people from all over Europe and especially to reunion with our friends from the German teams we had already met at the German iGEM Meetup. Figure 6 : Poster session at the European meetup. Early in the iGEM year, the iGEM team TecCAM from Mexico contacted us to propose an idea for a video collaboration, in which different iGEM teams from all over the world would perform to a certain song. We thought about this as a great possibility to draw interest to science and to reach many people showing the funny sides of science and laboratory work. We had so much fun thinking about droll moves including in the scenes and it was hilarious filming these scenes in our laboratory. In September 25, we skyped with the iGEM Team KAIT_Japan. We noticed that both our teams had a strong focus on outreach and that they had a lot of questions regarding our Dual Use Research of Concern outreach. We sent them our survey and they presented our results at their university. It was highly interesting for us to share our results and experiences worldwide and to hear about their experience regarding Dual Use Research of Concern in research and education. Thank you for your openness towards this topic and for your feedback! Figure 7 : Skype conversation with KAIT_Japan. We also shared our slide-show about Dual Use Research of Concern with the iGEM team Athens 2018 and informed them on these topics in the context of science. After our discussion they shared our important topic by showing our slides at the Molecular Virology Laboratory of the Hellenic Pasteur Institute, where they conduct their experiments.